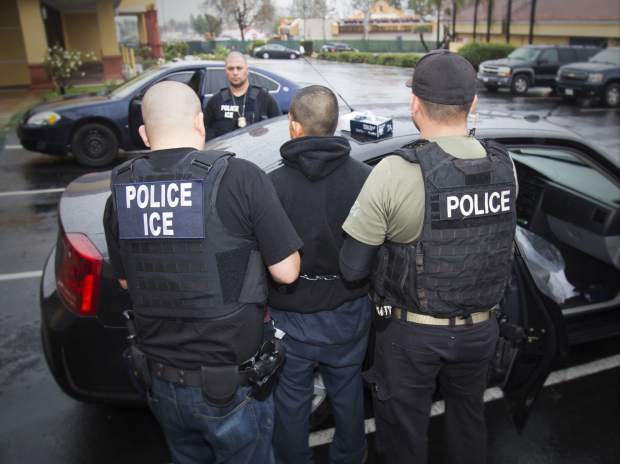 WASHINGTON — The Trump administration is greatly expanding the number of people living in the U.S. illegally who are considered a priority for deportation, including people arrested for traffic violations, according to agency documents released Tuesday. The documents represent a sweeping rewrite of the nation’s immigration enforcement priorities. The memos eliminate far more narrow guidance issued under the Obama administration that resources strictly on immigrants who had been convicted of serious crimes, threats to national security and recent border crossers. Kelly’s memo also describes plans to enforce a long-standing but obscure provision of the U.S. Immigration and Nationality Act that allows the government to send some people caught illegally crossing the Mexican border back to Mexico, regardless of where they are from. One of the memos says that foreigners sent back to Mexico would wait for their U.S. deportation proceedings to be complete. This would be used for people who aren’t considered a threat to cross the border illegally again, the memo said. It’s unclear whether the United States has the authority to force Mexico to accept foreigners. That provision is almost certain to face opposition from civil libertarians and officials in Mexico. The pair of directives do not have any impact on President Barack Obama’s program that has protected more than 750,000 young immigrants from deportation. The Deferred Action for Childhood Arrivals remains in place though immigrants in the program will be still be eligible for deportation if they commit a crime or otherwise are deemed to be a threat to public safety or national security, according to the department.